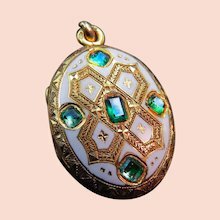 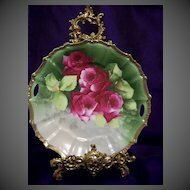 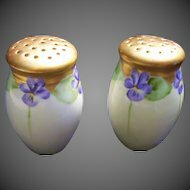 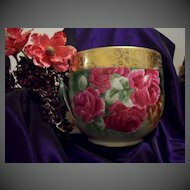 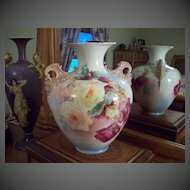 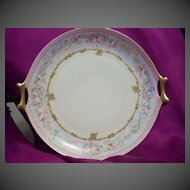 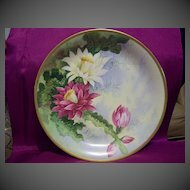 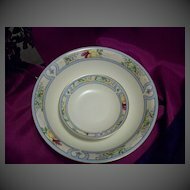 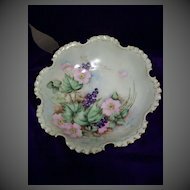 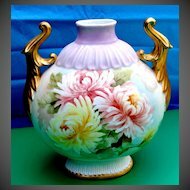 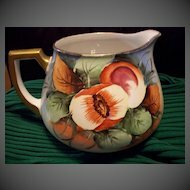 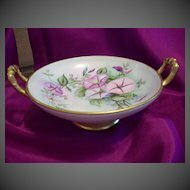 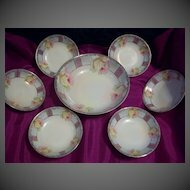 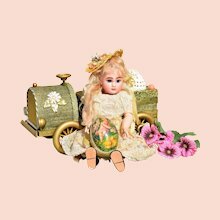 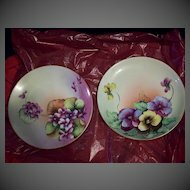 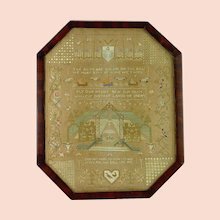 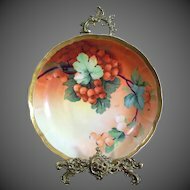 I have for your consideration a very old Rare Lovely hand painted Cabinet Plate bearing Limoges Leon Sazerat and Blondeau Marks(LS),Ca 1880's to 1891. 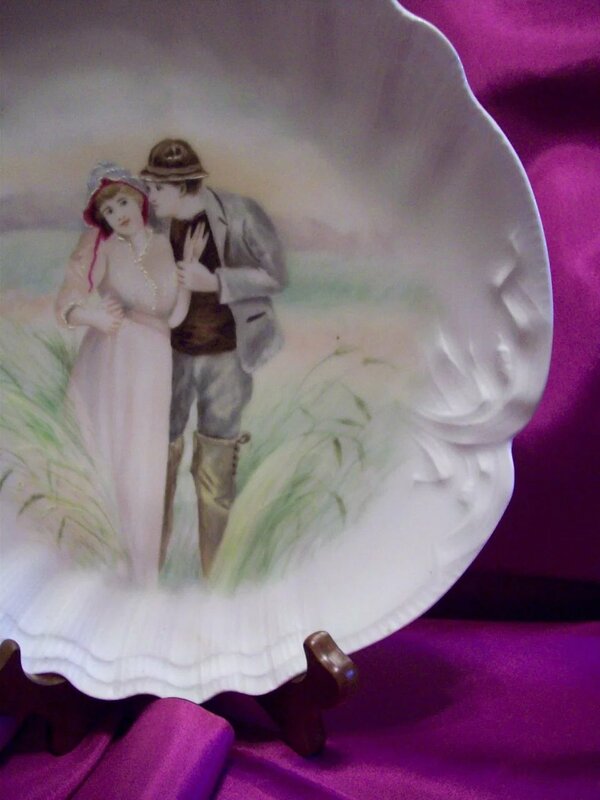 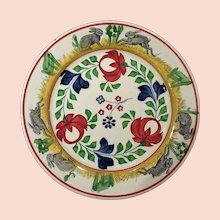 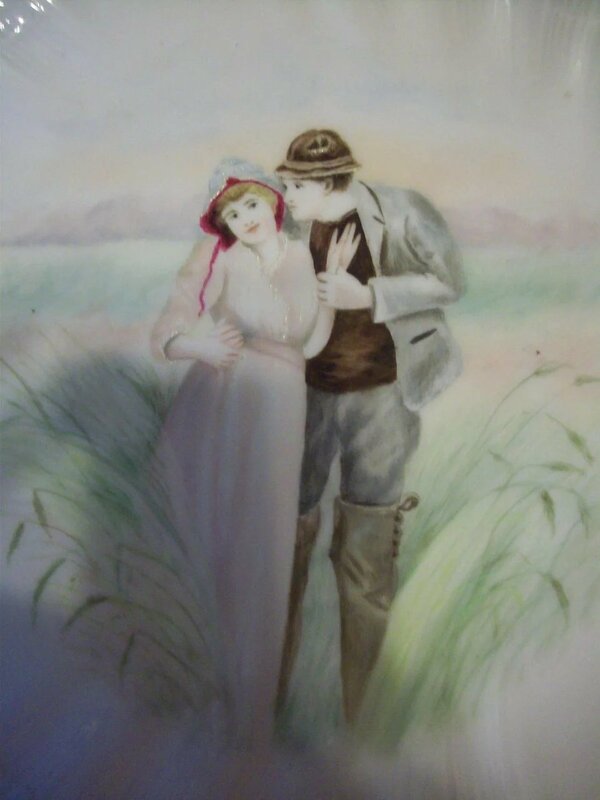 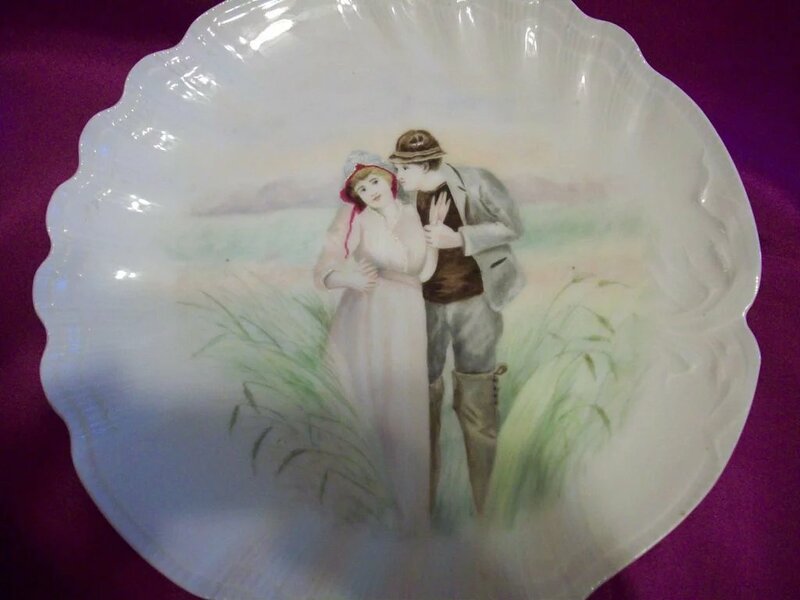 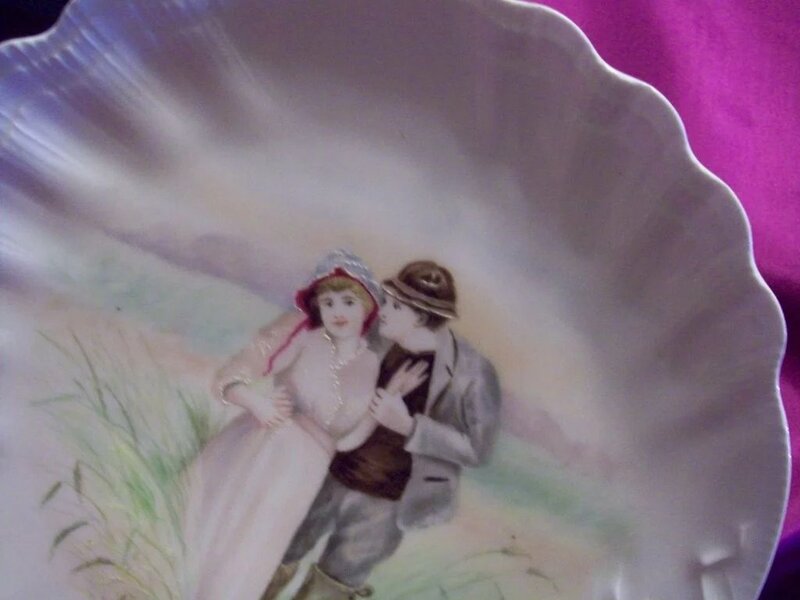 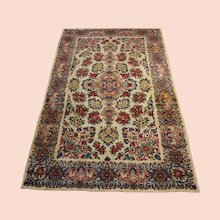 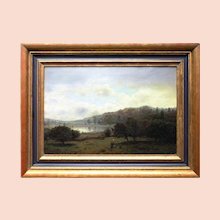 The Plate depicts a deeply scalloped luster body with a beautifully painted Portrait of Lovers in a field. 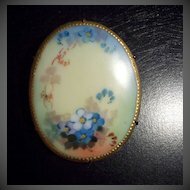 The painting highlighted with enameled work. 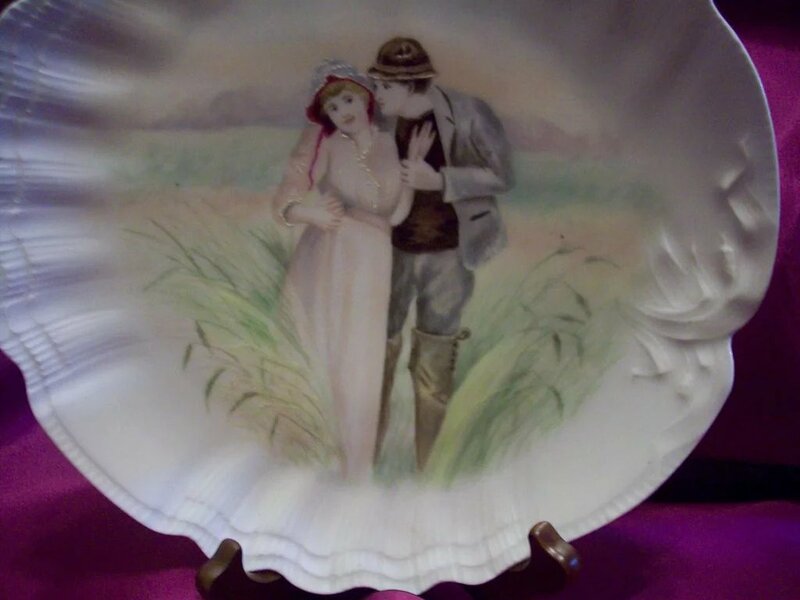 This Unique a shell looking plate is signed on the bottom by the artist "Ginever". 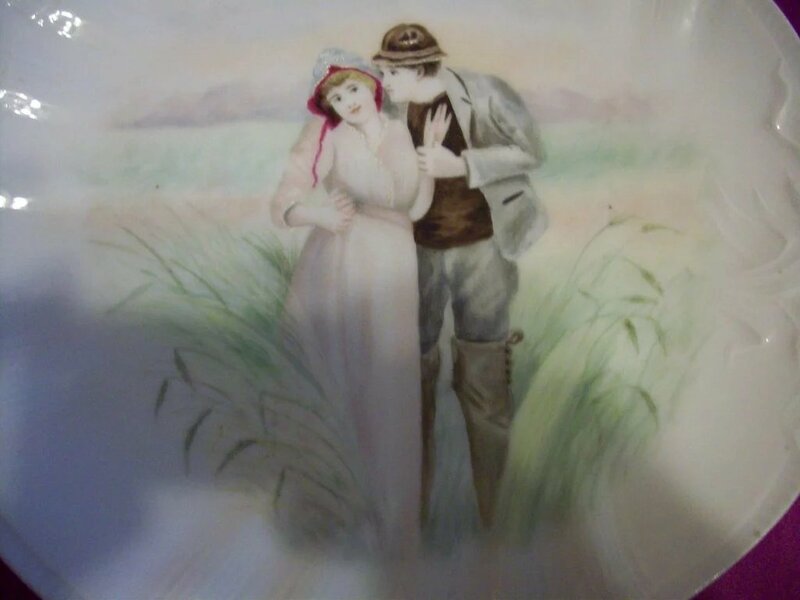 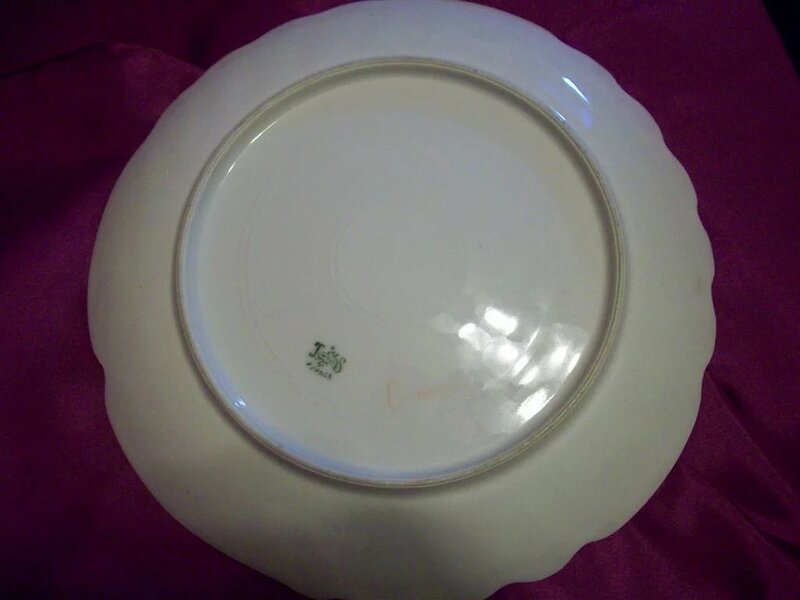 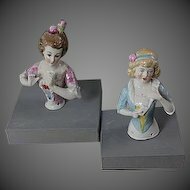 This Lovely Cabinet Plate measures 9.5"d.The condition is Mint with no any damage and paint loss.